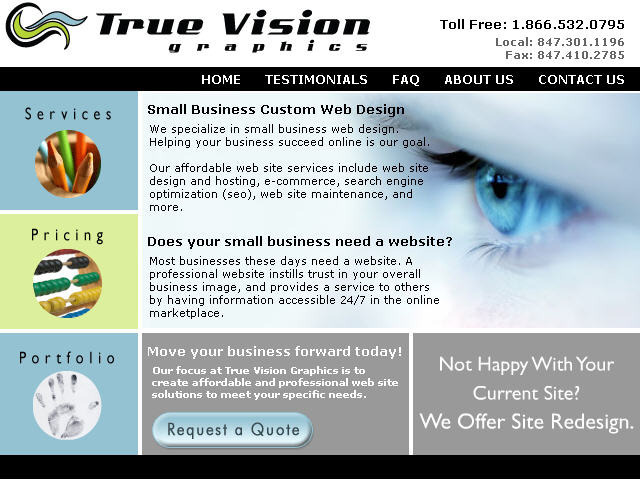 True Vision Graphics is a web site design company based in the Chicago suburb of Elgin, Illinois. We specialize in creating affordable web site solutions for small and home based businesses and organizations. We are dedicated to creating work that will help distinguish you from your competition. We love what we do and enjoy making our clients happy. We specialize in small business web design. Helping your business succeed online is our goal.